The Guaranteed Income Program is Dream Yacht Sales and Dream Yacht Charter’s easiest and most trouble-free ownership program. With just 20% down (for qualified buyers) you’ll own a luxurious sailboat at one of our select bases worldwide, collect a guaranteed payment of up to 9% with no risk, and sail the world for up to 12 weeks each year with our reciprocal owner use program. This program is not available at all bases. Please ask for details. You enjoy up to 12 weeks of sailing each year on your own yacht or a sister ship at any of our exotic destinations worldwide. At Dream Yacht Charter, we partner with businesses that have the highest levels of expertise. When it comes to financing your boat, and understanding the financial aspects of charter yacht ownership, we work with Finlease, who will handle everything, from application through to approval. Each month, you receive guaranteed, fixed revenue regardless of charter activity, depending on the location of the yacht. Dream Yacht Sales and Charter guarantees up to a 9% annual return on the cost of the yacht, paid in monthly instalments. The program covers 60 to 66 months, depending on the location of the yacht. Dream Yacht. Sales and Charter allows early exit from the program with adequate advance notice. As a Dream Yacht Sales and Charter Guaranteed Income Program yacht owner, you pay no operating expenses. We take care of everything, including dockage, insurance, parts, labour and much more. The only expense a buyer-owner is responsible for is the mortgage, which typically is covered by the guaranteed payment. At the end of the program, you may keep your yacht or choose to sell it. We have brokerage offices around the world that will assist in marketing your yacht for resale to assure a seamless transition. Your yacht’s maintenance will meet the most rigorous industry standards at no cost to you. Our team of professionals, in accordance with precise guidelines, will perform all work. You may choose from several high-end manufacturers including Bali, Beneteau, Jeanneau, Dufour, Lagoon, Fountaine Pajot and Nautitech. You may choose fabric and wood colours (if available) and some additional equipment. All yachts must have maximum cabin configurations. Are you ready to charter a boat? No licence required. No licence is required for a Yacht Charter in the Whitsundays, unlike other locations worldwide. We offer a brief training session before you head out, for either sailing or powered yachts. Do You Need a Licence To Sail A Yacht? Why a Dream Yacht Charter with kids is a fabulous idea. 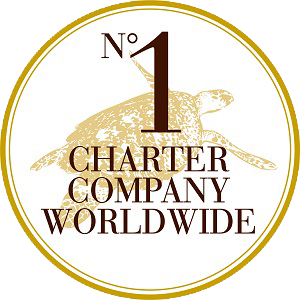 Queensland Yacht Charter’s is a member of Dream Yacht Charter the Number One Charter Company Worldwide with a reputation for excellence in providing the best in Yacht Charter’s. We offer the ultimate in destination sailing with over 1000 yachts in 50 stunning locations from the pink sands of the Caribbean to Europe’s thousands of Islands and including our magnificent 74 Whitsunday Islands here in our own backyard. Choose from our Whitsunday Fleet for the ultimate Whitsunday Yacht Charter or if you are dreaming of somewhere further afield choose a Bareboat, Skippered or By the Cabin Charter in our International Locations. Want to go even further for Longer? Enquire about our long term Sabbatical Charter.